A fluidized bed occurs when process air flowing upward lifts a layer of solid particles, fluidizing the particles. The process air is used to generate the fluidized-bed state, and also supplies the required thermal energy for the particle processes at the same time. 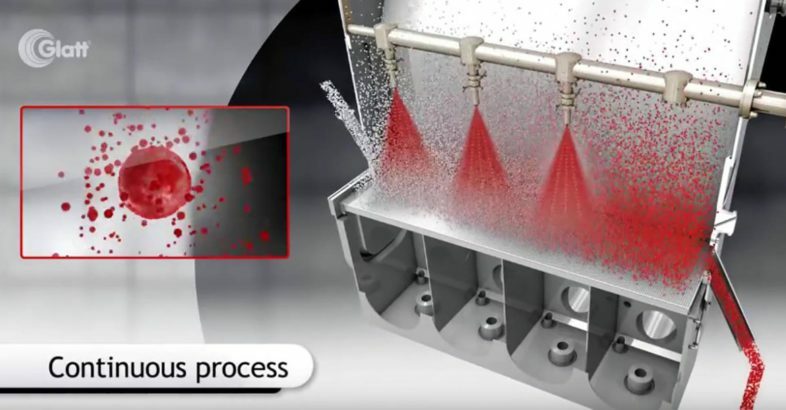 In addition to the thermal treatment of solid materials, fluidized-bed processes are used for drying tasks, for forming granules from powders (spray agglomeration) or liquids (spray granulation), and for the coating of particles (spray coating).